Never miss out on the action again, continue playing even when your controller is plugged in to charge, a flat controller will never stop you again. - Gold plated connectors - 4 pin USB A to 5 pin Micro USB B connection. - Lifetime Warranty - cable guaranteed against defects and failure under normal use. 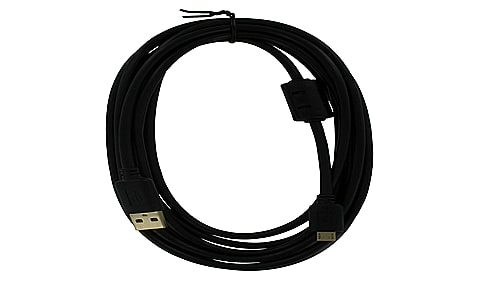 Zed Labz Pro Gold Plated Extra Long length micro USB charger cable for Sony Playstation 4 (PS4) controllers. Simply plug the small end of this cable into your PS4 controller and then insert the other end into your PS4 console to charge.